It happens every day, often without warning: seemingly mature adults--completely capable ones who do things like work in offices, pay their bills on time, and help their children with their homework--engage in a discussion about politics. At least, it begins as a discussion. More often than anyone cares to admit, it descends into a sparring match of personal attacks and insults. Maybe it starts on social media, but too often it can land at your dinner table, your local bar, or your place of work: those seemingly mature adults descend into walking temper tantrums of madness. 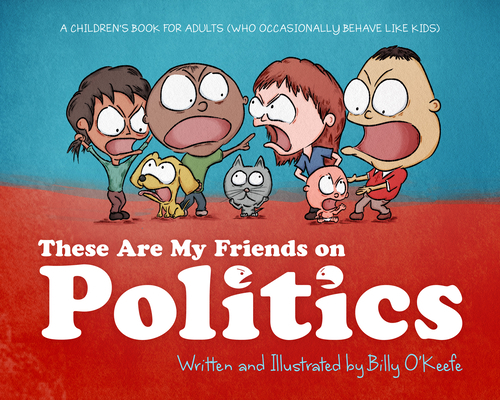 These Are My Friends on Politics hilariously lampoons this transformation, chronicling how an election year turns the reasonable adults we aspire to be into nothing better than vicious, bickering children.